« Tassels & Tabletop: D&D Bellydance and Burlesque Show! A night of thrashin’ mayhem brought to you by Primitive Ways. Black Mass – Hailing from Boston, these touring maniacs will be here supporting their brand spanking new album, Warlust! 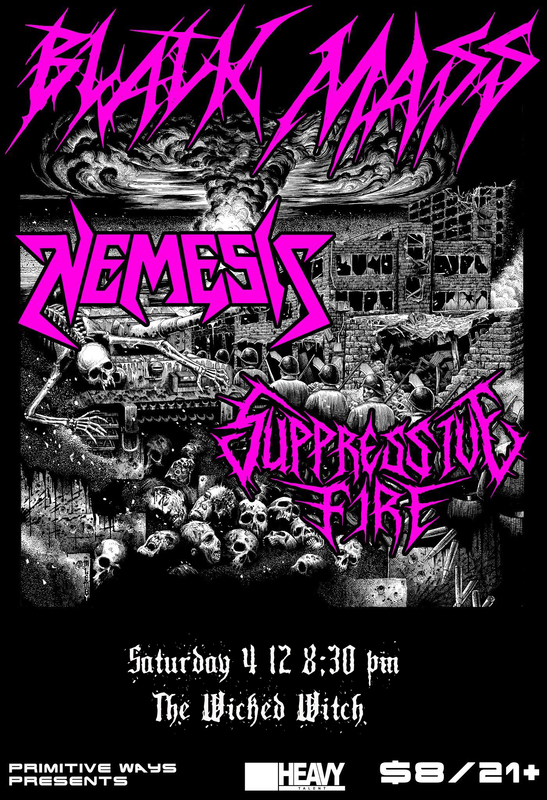 Nemesis – Some of our favorite regional maniacs, Nemesis brings all the sleaze and speed from Charlotte! Suppressive Fire – The local thrash titans, SF should need no introduction. Go fast and aggressive or cower in the trenches and rot!